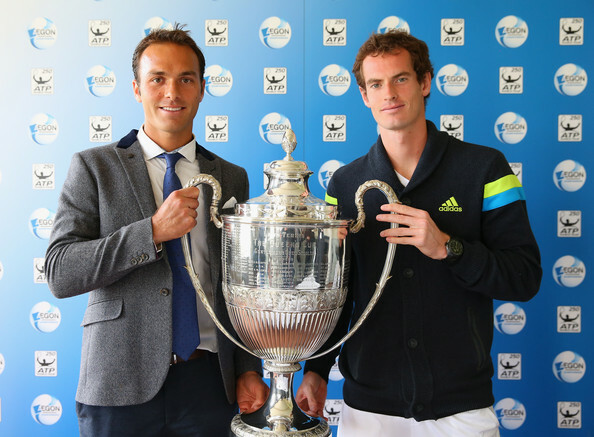 Ross Hutchins and British Tennis have launched their second Rally against Cancer campaign in hope that it will have the same effect that it did last year helping Hutchins through his fight against Hodgkin’s lymphoma. Last month, former British number one, Elena Baltacha, revealed she had been diagnosed with liver cancer. The 30 year old, who retired last year, was planning to go into coaching after opening an academy with her coach Nino Severino but her ambition has been halted. Hutchins, now the tournament director at Queens, announced yesterday that all three UK events will host charity exhibition matches to help raise money for The Royal Marsden Cancer Charity. The matches will include some of the past and current greats including 18 time Grand Slam winner, Martina Navratilova, Greg Rusedski, Tim Henman, Anne Keothavong, Heather Watson, Laura Robson and Wimbledon champion, Andy Murray. Last year the campaign was very successful as Murray played alongside his coach, Ivan Lendl, as well as Tim Henman and Tomas Berdych. A number of other famous faces also joined in to support the event including Michael McIntyre and the Mayor of London, Boris Johnson. The campaign raised £273,323 from the event, exceeding expectations set by Hutchins who aimed to reach £100,000. The success last year has prompted him to run the event again to help more people fighting against life’s toughest battle including his team mate, Baltacha. All of Britain’s elite played their part in supporting the campaign last year. Colin Fleming donated 10% of his prize money from Queens, youngster, Kyle Edmund, gave half of his Eastbourne winnings to help the hospital and Hutchins donated £500 for every British singles win and £250 for every British doubles win. On top of this, Murray gave all his winnings from Queens to the charity too, a total of £863,000. On Sunday 15th June, the ‘Rally for Bally’ campaign will commence with doubles matches taken place at all three UK tournaments (Birmingham, Eastbourne and Queens). Each match will feature a Wimbledon champion which includes Murray, his brother, Jamie Murray, and Jonny Marray. Hutchins has proven to be a true ambassador for the sports after just a week of becoming the director at the AEGON Championships. He has set up another campaign to help battle against cancer and he has made The Royal Marsden the official charity for the tournament. This could be beginning of an annual campaign which would not only help raise awareness of the charity but of the British tournaments themselves hopefully persuading more people to come and watch.